OK YOU ARE APPROVED! 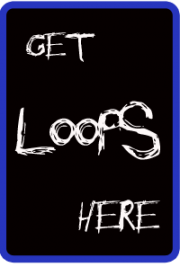 – You are now ready to receive free loops and updates from iPad Loops. Our first offer contains 200 free Drum loops in various genres. Check your email for the download link. Use the contact form below if you have any questions. Have fun! This site is an on going project maintained by Jason Donnelly (DJ Puzzle). Jason Donnelly is a sound designer. He has produced loops and sound design for Sound Trends apps Looptastic, Meta.Dj, Studio.HD, and Gruvtron. He was also the founder of Peace Love Productions a producer of royalty free audio loops. Jason has produced and edited over 30,000 loops. His work can be found on Sony Creative, Loopmasters, Peace Love Productions, Acoustica, and Soundtrack Loops. Acid Loops A comprehensive catalog of royalty free loops for Sony Acid Pro. Dj Samples Free Dj Samples, Turntable scratches and beats. Apple Loops A comprehensive catalog of loops for iOS and Apple programs. Free Acid Loops Tons of free acid loops and samples. Bang On Tunes Music Producer, Publishing, and more. Remix Contests List of current remix contests. Vj Apps Best selection of Vj apps for iOS. Dirty Disco Music and Culture.